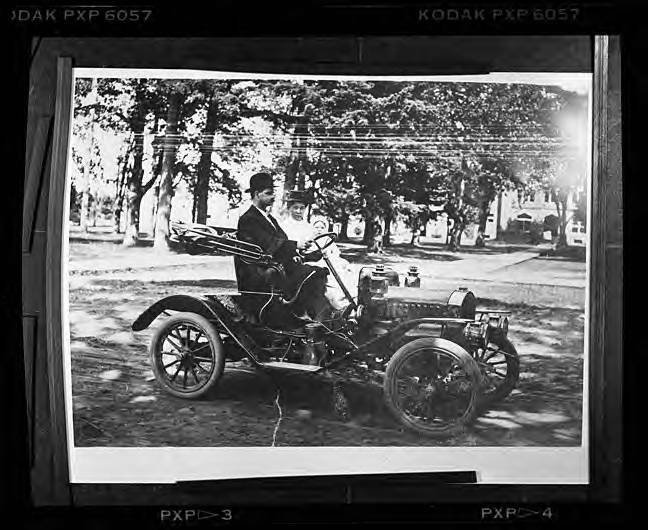 Black and white image of a man and a woman seated in an early model Brass-era automobile. The woman holds a baby. Trees and a large grassy area are visible behind the couple, and the road is dirt. Museum records identify the image only the 'Gaston postmaster,' the image being taken about 1910.